The seducing name of “Le Plaisir” is far from marketing propaganda. It is actually the name of a house purchased in 1712 by Thomas Gasparin, the Pope’s consul in Cairanne. Thanks to its legacy, the property is the only one that is allowed to carry the “Chateau” denomination in Cairanne. The estate was taken over in 2009 by Lydie and Pascal Franczack who bring all their “savoir-faire” to this phenomenal terroir. Chateau Le Plaisir features 70 acres of vines split over the Cairanne, Plan de Dieu and Cotes-du-Rhone Villages appelations. The domaine is currently transforming to biological agriculture and combines traditional and modern methods of agriculture and vinification. In the cellar, every step is meticulously orchestrated, from the grapes with gravity, to the aging (9 months average) to the bottling (Pascal labels bottles 1 to 2 months after bottling to visually inspect the wine and corks). Pascal’s next project is to start the production of his 13 acres Plan de Dieu, a unique terroir fairly unknown outside the south of France. He has been working on the vines for 4 years and now has great expectations for his future cuvee. The Rhone wines are strongly associated with a vibrant history. Indeed, winemaking in the Rhone region dates back to the 6th century BC. Along the years Romans and Templars have been involved in fermenting grapes. The region noticed its first significant growth when the Catholic Popes elected Avignon as their home. 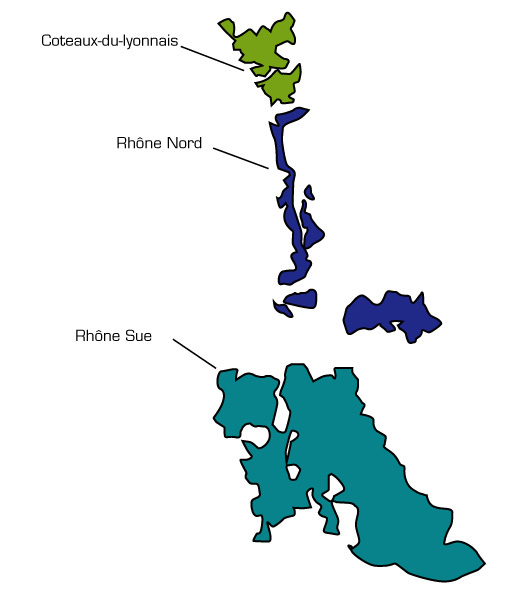 It is only in the 20th century with the improvement of transportation, especially to the capital Paris, that Rhone wine grew in popularity to their present domestic and international fame.